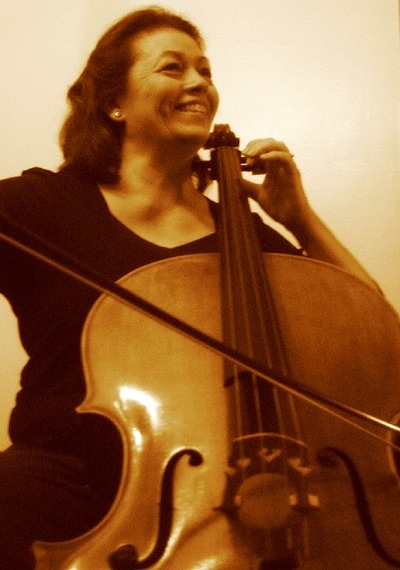 Laura Evans, Cello, received her college education in music performance at Duquesne University where she studied cello with Salvatore Silipigni and chamber music with Richard Goldner and Ralph Evans. Over the years, she has taken Suzuki method teacher certification courses at institutes in Chicago, Baltimore, Ithaca, and Kingston, Ontario. Mrs. Evans’s trainers were Catherine Walker, Annette Costanzi, Carey Beth Hockett, and Richard Mooney. While living in Rochester, NY, she continued her cello studies with Marianne Wukovitz of the Rochester Philharmonic. She began her teaching career in 1985 at the Hochstein School of Music and the Webster Music Cooperative. She was also director of strings and the orchestra at Rochester Christian school. She served as a substitute cellist for the Rochester Philharmonic and also performed with Chamber Music Unlimited and the Penfield Symphony. In 1990, Mrs. Evans returned to Pittsburgh after her husband became a bassist with the Pittsburgh Symphony. She began teaching at the Seton Center Suzuki School where she taught cello private and group lessons. With a growing family of 4 children at home, Laura resigned from Seton Center in 1995 and set up a private studio at home. Presently, there are 13 students from the ages of 5 through adult at various levels of study. Her students have earned positions in Pittsburgh’s youth orchestras and the PMEA’S honors, district, regional, and state orchestra festivals. They have also participated in the Pittsburgh Symphony’s Side by Side and Fiddlesticks concerts. Mrs. Evans has also taught at the Carnegie Mellon Summer Strings Camp and Rogers CAPA Middle School. She is currently an adjunct faculty member at Washington and Jefferson College. Mrs. Evans has enjoyed performing with the Wheeling Symphony since 1991. She is also a member of the McKeesport Symphony and freelances in the tri-state area. Mrs. Evans lives in Bethel Park with her husband Don and youngest son, Andrew,8. Their elder son, Donny, 19, is an Army firefighter currently serving in Afghanistan. They have 2 daughters: Abby, 29 is a violist with the National Symphony and lives in Arlington, VA with her husband Daniel Visconti who is a composer. Their other daughter, Mollie,25, is a graphic design artist and singer who resides in Buffalo, NY. Laura and Don are looking forward to retirement in Pinehurst, NC where Laura hopes to learn how to quilt and take golf lessons so she can keep her husband company on the golf course!